I went to a talk by Tommy Reichenthal, now an Irish Jew and a Holocaust survivor on 5th May. Tommy spoke of the terror of his experience during the war in his Slovakian village and subsequent horror of surviving the Holocaust. He visits schools to speak to young people of his experiences. We had our Easter Vestry on 8th May. I am very grateful to those who are willing to stand for the Select Vestry, as Synodspeople and as Parochial Nominators. Thank you to those who served previously, it was much appreciated. On the afternoon of the Easter Vestry I attended the enthronement of our new Archbishop, Michael Jackson. 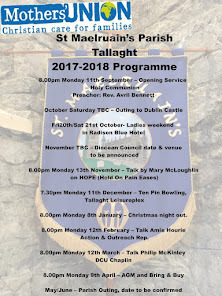 We look forward to meeting the Archbishop in Tallaght. On 13th a spring cleaning of the church was organised by Janet Edgely. We are very grateful to those who so willing gave their time so generously and with such energy. The result is a sparkling church! On Sunday 15th I gave a report on my trip to Berlin in Church. There has been a request to do an evening report for those who missed the one in Church. If you are interested, please contact me on 086 803 0239. I went into the Christian Aid Week report on 18th May in town. One of the interesting facts I learned is that Bewleys use Nicaraguan coffee from Co-ops. We should all look for the fair trade emblem when buying commodities from abroad. The Megeough Home had an open day on 19th . The home takes elderly men, women or couples who live independently in a range of 1 or 2 bed houses with rent set according to means. The Gascoigne Home is also on the corner of the site, which is a nursing home. As my mother-in-law is a resident in the Megeough I would have no hesitation in sourcing any further information parishioners may require. Geoffrey McMaster of The Bishop’s Appeal, Water of Life (Fields of Life, Afghan ed. & Leprosy Mission) came to talk to us on Sunday 22nd May. It was interesting to hear that for €50 you can clean up to a million gallons of water. Dirty drinking water is the biggest cause of mortality in children in the third world. I attended the 25th Anniversary of Mt. Seskin Community College (formerly Jobstown Community College) and the graduation ceremonies in St. MacDara’s and Tallaght Community Schools at the end of May. Our Summer Sale has come & gone. Please find the results further on in the Losset. 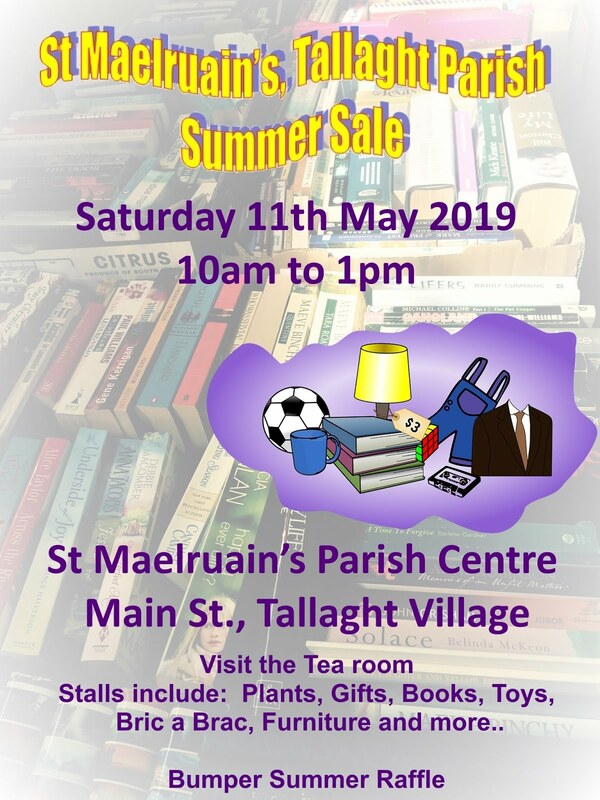 I would like to give a big thank you to Ronnie Scott who co-ordinated the sale & to all those who helped in any way, your hard work was really appreciated. Thank you also to those who supported on the day. I would like to wish all the Losset readers a safe, sunny and fun filled summer! We have finished another busy and exciting year. We entered for lots of competitions at National and District level and had some successes. Congratulations to our Explorers Circus team who came 4th in the National P.E. Competitions, this was a great achievement beating many of the very good teams,well done girls and thank you to Fiona who trained them. We also won bronze medals in the Fxplorers and Juniors Competitions at District level. Bronze medal and certificate in this competition. we do appreciate it and it does help the girls to improve and make the teams for competitions, we like to give all the girls a chance. Last but not least I would like to thank all the leaders who give their time so willingly, for all they do and all the ideas they come up with. All girls received badges which they worked for during the season and service broaches for attendance. We now close for the summer months and I hope everyone gets the chance to have a nice break and get out in the summer (hopefully) nice weather. 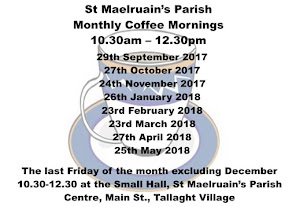 We will re-open with registration on Saturday 10th September in the Parish Centre from 10.00am – 11.30am when we will welcome all members back and any new member who might like to join the company. Captain Carol Fox. We stepped on board the immigrant ship and landed safely in a new homeland on the American Frontier.We really enjoyed the tales given to us by the guides who were of course dressed in period attire. On our short visit to Omagh a security guard in M & S was overheard saying “I believe a group of Mothers Union Pensioners has entered the store” ! He must need to go to Specsavers! Our dinner (by candlelight) was in the Hillgrove Hotel, Monaghan and we sang ourselves silly on the way home. Thank you to everyone who came, chatted and laughed and together we really had a good time. The antibacterial hand wash has been handed in to SAOIRSE and they have been informed we will be back in touch with them in August. A very happy 80th year to Ann O’Halloran…so many of us were very surprised when we heard you were celebrating your 80th birthday as you look far too young !! 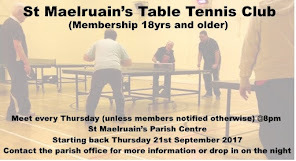 This year St. Maelruain’s Parish Table Tennis Club entered 2 teams into the United Churches Table Tennis League. Our first team played in the Premier Division and comprised Anthony Iyere, David Gibbons with Sharon Gibbons. This team finished in 2nd Place in the Premier which was an excellent result. York Road’s 1st team finished in the top slot again this year. Well done to Anthony who finished 3rd in the individuals competition while David Gibbons finished in joint 6th position. The Club’s second team played in Division 2 and comprised Andrew Seymour, Brian Gibney and Bobby Wilson. This team finished in joint 2nd place with three other teams who all finished with 6 points. The winner of this Division was Malahide’s 1st team. Andrew Seymour finished in 3rd place in the individuals competition in Division 2. This year there were no Annual Championships held in Clontarf as numbers that entered the tournament last year were poor and it was not possible to justify the costs and the effort needed to run the event when there seemed to be little appetite among a sufficient number of players for the event. The UCTTL’s AGM was held on Wed 4th May 2011 and Andrew Seymour was appointed to the role of Vice-chairman of the league. Ken Peare of Killiney has been appointed President of the League while Peter Hayes has been appointed to the role of Chairman. Arthur Thompson continues in the role of Hon. Match Secretary. Peggy Sloan has agreed to stay on as a joint secretary with Valerie Grimes. Brian Hayden has been re-appointed Treasurer of the league. Next season it is proposed to hold the cup competitions in March after the Leagues have been played out, in this way, if clubs have been grade inappropriately, it gives the Exec. Committee an opportunity to re-grade the the teams for the cup competition. It is understood that this is similar to what currently happens in the Leinster League. To facilitate the cup competition at the end of the season, all league matches are to be played by the end of February 2012 and to achieve this, it will be vital for all teams to arrange and start their matches as soon as possible in October 2011. It also means that each club will need to submit their teams a little earlier than usual so it will be important that we know the make-up of our teams as soon as possible in Sept. 2011.
injury...... and they say table tennis is not a dangerous sport! On behalf of the club we send continued best wishes to our former members Harry Griffith and Pat Wilson while we also send best wishes to Hilary Cleary’s husband Peter. That's it for another season, we will be open again for business on 22nd Sept. 2011. Anyone interested playing table tennis at a social or competitive level is more than welcome to come along on any club night. 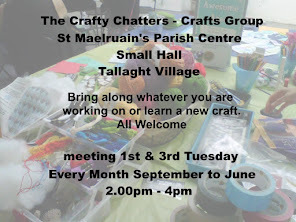 St. Maelruain’s at 2pm. We extend our sincere condolences to her family. On Saturday 14th May we had the baptism of James baby son of Michael and Jennifer Kenny . We welcome James into Christ’s flock and pray for him and his family. Pact is a small independent Irish charity (protestant), founded in 1952 as an adoption agency. Today it provides a broad range of services in the area of adoption, information & tracing and unplanned pregnancy. They are holding a bumper raffle for fundraising purposes with 1st prize: 3 day voucher for Kelly’s Hotel in Wexford, 2nd prize: Doonbeg Golf Club 4 ball plus many more prizes. Tickets €2 each or book of 6 tickets €10. To order tickets contact Marian at 296 2200. Draw takes place on 23rd June.